In this course with Ven. Thubten Chodron, read along with the book she coauthored with His Holiness the Dalai Lama, Buddhism: One Teacher, Many Traditions and join in the discussion on the core teachings shared among Buddhist traditions. Build your knowledge of these teachings and gain insight into how they are understood by Buddhists around the world. Buddhism is practiced by hundreds of millions of people worldwide, from Tibetan caves to Tokyo temples to redwood retreats. All these traditions trace their beginnings to the teachings of one man in India 2,500 years ago. These teachings spread worldwide in all directions and into numerous languages, making Buddhism one of today’s most influential religions. 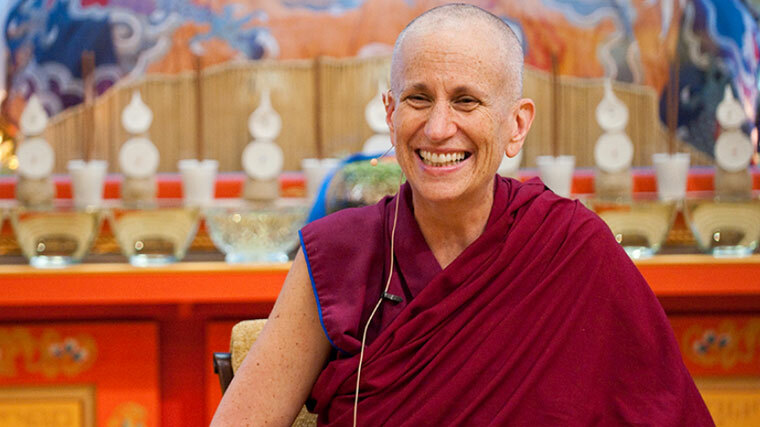 In this course, you’ll join Venerable Thubten Chodron for an in-depth discussion of the core teachings of Buddhism, shared across traditions, such as mindfulness, emptiness, and dependent arising. Ven. Chodron’s illuminating commentary on how each of these, and more, are approached within the many traditions of Buddhism forms the basis for your own exploration of Buddhism’s shared heritage and diverse expression. There is no prerequisite to have taken the previous course; you can dive right in with the material covered in Part II. This ten-lesson course is the second in a series based on the book Buddhism: One Teacher, Many Traditions, co-written by His Holiness the Dalai Lama and Ven. Chodron. This book is an expression of His Holiness’s strong belief in the merit of different Buddhist traditions being more educated about one another. In this lesson, Ven. Chodron reviews the driving motivation behind the book and its major themes. She then goes on to introduce the higher training in wisdom and the thirty-seven aides to awakening. In Lesson 2, Ven. Chodron guides us through the four establishments of mindfulness. She explains how mindfulness of the body, feelings, mind, and phenomena relate to one another and support our development of wisdom. 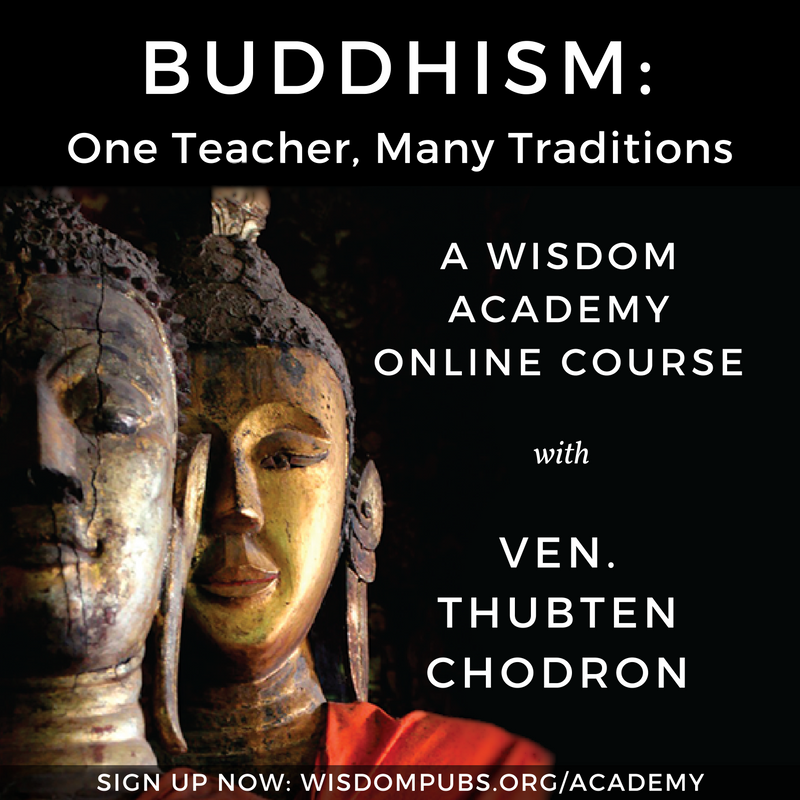 Welcome to lesson 3 of Buddhism: One Teacher, Many Traditions, Part 2, on concluding the higher training in wisdom. In this lesson Ven. Chodron discusses the profound and challenging topics of selflessness and emptiness. In this lesson Ven. Chodron covers the madhyamaka view of emptiness and discusses the refutation of self. Ven. Chodron continues the teachings on selflessness and emptiness with the themes of the four extremes of arising and karma. Ven. Chodron introduces the topic of dependent arising, giving examples of how it manifests in our daily lives and taking us through the twelve links. We further explore the links of dependent origination, examining how they are grouped, how they function in our current life, and more. Ven. Chodron helps us understand the different kinds of dependence and how this influences our sense of self. In this final lesson, we turn our attention to a discussion of nirvana/nibbana in the Pali and Sanskrit traditions.